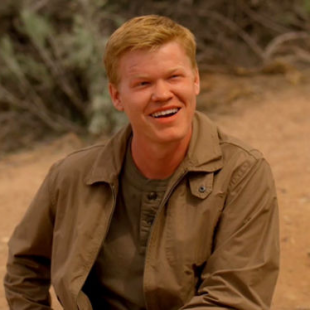 Breaking Bad's Jesse Plemons is apparently a favorite for an unknown role in Star Wars: Episode VII. This may be entering some minor spoiler territory if you you're that far into Breaking Bad, but Todd is kind of evil. You wouldn't think it a first glance (which is kind of the point), but hiding behind his handsome face and soft-spoken demeanor is a baddie who easily ranks up there as one of the scariest characters on the show. The more you come to know his character, the more chilling you'll find him. 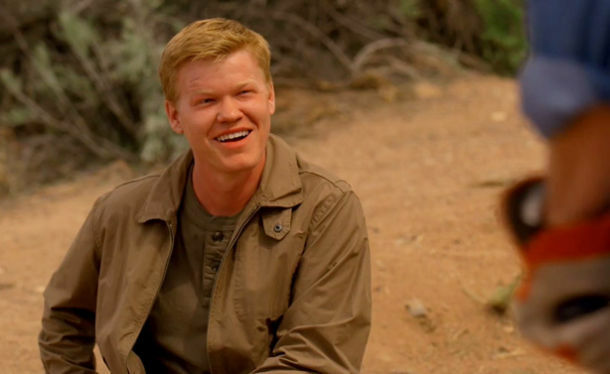 The point we're trying to make here is that actor Jesse Plemons did really well with his portrayal. That in mind, if current rumors can be believed, he may also have an opportunity to do a fine job in Star Wars: Episode VII. According to apparent sources with an inside scoop of the film's casting process, Plemons is scheduled to meet with director J.J. Abrams to follow-up on a well-received audition tape. The sources, apparently positioned in Talentworks, the agency representing Plemons, say that he is currently a favorite for an undetermined role in the much anticipated sequel. Disney and Lucasflim have, not surprisingly, been unwilling to comment. While none of this has officially been confirmed, it would be, in my opinion, quite a positive if Plemons were cast, especially in the role of a villain. He definitely proved his chops for darker roles in Breaking Bad and, honestly, even if Abrams and friends just aped his performance from the show, I'd be happy. If nothing else, he'd serve as an interesting break from the Star Wars antagonists of the past. Granted, Hayden Christensen wasn't ugly, even after he turned all Darth Mopey, but besides him the various Sith Lords of the series have all been old, alien, cyborg and pretty much plain-faced evil. I'd love to see a younger, softer and more subtle practitioner of the Dark Side that's smiling one second and terrifying the next. What do you think? Should Plemons get a spot in the film and, if so, what role would you like him to play?